Talk about a powerhouse duo or shall we say: Safehouse duo? Disney alums: Demi Lovato and Nick Jonas have joined forces to start their very own record label – Safehouse Records underneath Island Records. The two have been working closely with longtime talent manager and music executive, Phil McIntyre to make this dream come true. Fun fact: the film reached 8.9 million viewers on the first night it premiered! In 2010, the same crew released “Camp Rock 2: The Final Jam!” Demi even joined the brothers during their “Burning Up” tour where Demi was the opening act and they performed a few “Camp Rock” hits! Most recently, the two collaborated on a song together, “Avalanche,” for Nick’s newest album. Demi has mentioned several times that Nick was always there for her during her most trying times. 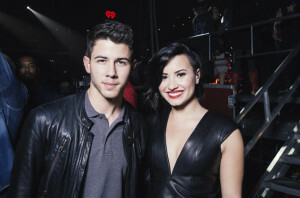 Needless to say, Demi and Nick are not only longtime partners – but longtime friends. 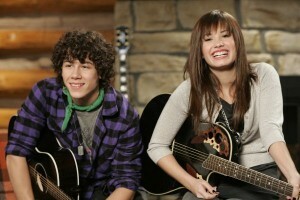 Now that we have taken a trip down memory lane – what does the name “Safehouse” mean to Demi and Nick? Well, the goal of their record label is to give artists a safe environment where their creativity is put first. The team wants to give artists control over their work while giving them the best tools for their career. The Safehouse crew is keeping their eyes and ears open for new talent – and guess what?! Demi’s fifth studio album will be the first album produced from the record label! Don’t worry, Demi is not leaving behind the record label she has called home for several years – Hollywood Records. Safehouse, Hollywood, AND Island Records will be teaming up to make the “Neon Lights” singer a – what we’re sure will be – killer album! “It’s incredibly exciting to be a part of this new company where I’m in control of all aspects of my career. I can’t wait to share what we’re working on,” Demi shared in a statement. We are so excited to see what is in store for Safehouse Records. Because of the success that they have had together in the past we are expecting nothing less than the best from Demi and Nick.